Review: Fans of Sookie and Eric will be disappointed with the latest installment of the southern vampire series. Witty banter between the two is completely gone. I vaguely remember the days when I read books 4 and 5 and laughed out loud routing for them to be together. In fact, normal communication of any sorts must occur off the pages because they do not communicate well nor have any fun in this book. Most fans have been waiting a long time for these two to be together so it's disappointing that now they are a couple, it isn't translating well. 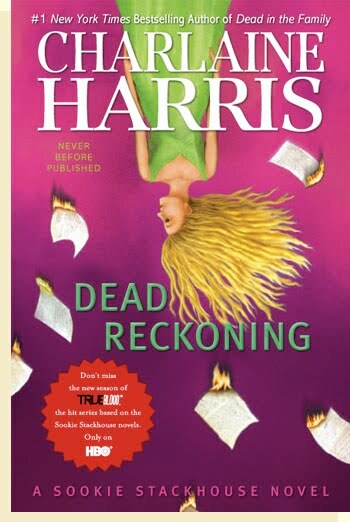 It seems clear that Harris is breaking them up and Sam will be the last man standing. I have nothing against Sam, but I've always been an Eric fan and was hoping they would end up together. However, back to the plot of the book...similar to the last book, there were a few story lines, none of which that were that interesting. Merlotte's is firebombed (this could have been interesting but it felt recycled from a previous book) while Pam and Eric are having trouble with the king regent, Victor. Speaking of Pam-she has a serious love interest for the first time in the series and the entire relationship happens off the page. Even more annoying (SPOILER ALERT) her love interest is killed off with very little fanfare. There was a fae subplot with Claude and Dermot that was never fully fleshed out (I'm guessing this will be the main story arc in the last two books). This whole book just felt a little "off" with many characters acting out of character. SPOILER ALERT: There was a random Alcide appearance (Alcide was waiting for Sookie in her bed..really?). Amelia reappears and then is kicked out of Sookie's house when Sookie overreacts to a certain situation. Southern gentleman Bill makes a vulgar comment to Sookie at one point (I will admit it's the only time I laughed though reading the book). Prim and proper Pam also says things out of character, while Eric is just a shell of his previously hot, quick witted self. 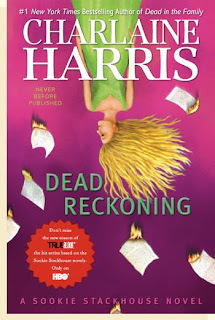 I am beginning to question the editing of these books as things were presented or "revealed" that don't fit with the timeline of previous books.It doesn't seem like Harris is having fun writing this series anymore (I used to laugh all the time reading them) and is trying to stretch out a few ideas to complete her book deal. Or..maybe I enjoy the HBO show more and I''m holding the book to a higher standard? I welcome comments from other fans of both series.